Timber piers to be replaced. Aerial view of the marina to be redeveloped. To determine if listed species or their critical habitat were present in the vicinity of the proposed project, Confluence consulted the National Oceanic and Atmospheric Administration, National Marine Fisheries Service and the U.S. Fish and Wildlife Service. Confluence staff then evaluated the project for temporary and permanent impacts to existing environmental conditions and the project’s effects on species listed under the Endangered Species Act. A unique design aspect to this project was the recycling of an existing boat shed. Rather than purchasing a new boat shed for their covered moorage and increasing the total area of overwater coverage in Puget Sound, Yachtfish Marine purchased an existing boat shed currently moored in Commencement Bay. 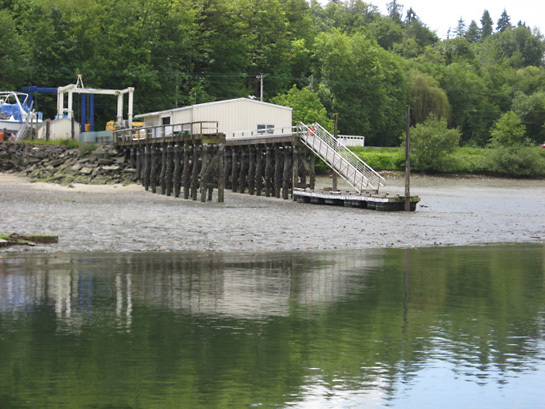 Yachtfish Marine relocated the existing boat shed to Sinclair Inlet to use as its covered moorage. 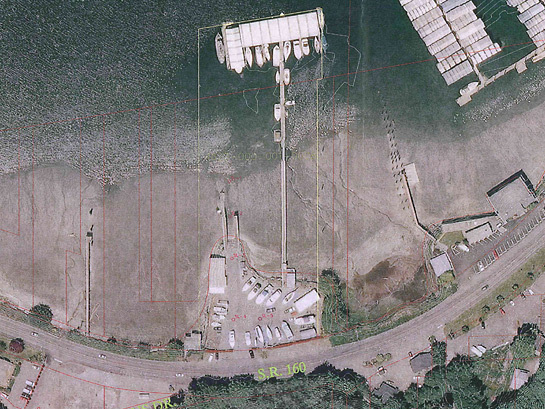 This unique recycling and relocating of an existing boat shed allows for an overall decrease in overwater coverage in Puget Sound. The BE concluded that while temporary impacts from construction would occur, the overall effect to listed species is a benefit. The project resulted in a new marina that will allow Yachtfish Marine to continue to grow and meet market demands, while reducing the amount of overwater coverage in Puget Sound and improving long-term water quality by removing creosote pilings.